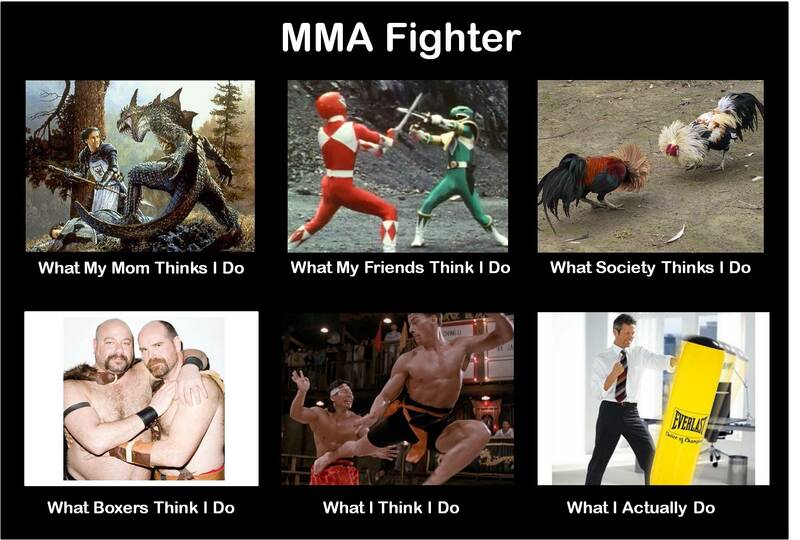 Unless you've hidden in an underground bomb shelter for the last few years,you've seen the memes about the "what my mom thinks I do, what my friends think I do, etc etc" (haven't yet seen them, here's one). Since we try really hard to stay super relevant (okay, okay, so these memes are SO 2015), we decided to do our own for the charity sector...but then we realized that this was a bigger topic worthy of more than just a meme. In fact, its a really big issue. Maybe even an issue worthy of its own semi-serious blog post. Let's be honest, we have our own identity crisis within the nonprofit sector. And it goes way way beyond what our moms think we do (ps. our moms are super proud, albeit a little confused). It seems the public has this well-intentioned, but mostly wrong view of what we do as a sector. But before we break down our identity crisis for you here, and get a little too-close-for-comfort real, let's just say we're all good people trying to do our best for humanity ok? You're good enough, you're smart enough, and people like you. Ok? Good. Let's talk about the Gods, Martyrs, Interns and Bureaucrats running the nonprofit sector. Let's start here. Internally, we call these people "founders", externally they are treated a bit like Gods. And look, the hype isn't unwarranted. For all of the trashing that Founders endure, they DESERVE part of the glory they get. The CNN lifetime awards, the city plaques, the book deals; they get awarded becuase many many of these founders are visionary trailblazers. They ventured to solve a major issue, mortgaged their livelihood on it, and made a difference in society. But, sometimes all that 'God treatment' might go to their head. At best, they take on too much: eschewing traditional management practices, using volunteers where professionals are necessary, refusing to hire help (ahem). At worst, they start to think they ARE the mission: firing their Boards, spending donor dollars however they please, and treating staff, stakeholders and Board members a little like chattel. But the truth is somewhere in the middle. Let's ditch the pedestal AND the pit. Let's reel back expectations and stop expecting and accepting bad behavior. No doubt that 'Founder's syndrome' is real, but it has become an ugly label. So let's drop it. No more idolatry or demonization, just viewing our leaders as the complex people that they are. Because once we drop the moniker and start looking at the individual, we can start gaining back the partnership and collaboration we've been missing out on. At first, we'd venture to say this is more of an external issue than an internal one, but then, we'd only be half wrong. You know the drill. Someone asks you what you do, you say "XXY Nonprofit, we work to end MAJOR ISSUE" and the other person says "That's amazing work, how do you do it?" and you quip "It's so fulfilling, but they don't call it NONprofit for nothing, hahaha." Cue eyeroll (p.s. we are guilty of this ourselves). But whether it's PIRG arguing we need tro somehow be exempted as an industry from overtime rules because mission-driven work or charities who still pay lip service to that pesky overhead myth (stop, please), somehow the general public got this idea that (except if you're executive management) you're some kind of martyr for doing work that happens to be fulfilling. No. Not only are we not, we shouldn't be. We need to be advocates and spread the word that good work is still worthy of good paychecks. No more excuses on non-competitive wages, no more hiding what real things cost. We can't simultaneously demand foundations join ranks with the real cost project and then accept the martyrdom banner. Plus, burnout at high-trauma job is real, so all that martyrdom can come at the price of high turnover. Once upon a time, we were all starry-eyed, underpaid idealists using an internship at a 'grassroots' nonprofit to gain experience and stuff a few envelopes. Even though we grew up to be the still-underpaid, exhausted version of that person who now has to deal with things like program budgets, compliance models and development plans, there are still nonprofits out there perpetuating the 100% program myth (we're looking at you, Charity:Water) and think operations and development are intern-worthy tasks. So, unless we are the Gods starting the nonprofit or the Martyrs constantly talking about it, we must be the lowly interns. Because everyone at every board meeting, brings up using volunteers or interns to do something mission-critical as a mechanism for cost-cutting.Wrong. Not only are there serious issues with the nonprofit sectors sometimes-improper use of interns, there's a problem with free (or very cheap) labor being key to mission delivery. Guess what kind of outcomes we get when we don't invest in staff? Here in Los Angeles, the average citizen might be pretty shocked about the percentage of nonprofits who are funded largely through federal, state and county funding. Once upon a time, this was just an income stream, certainly not the majority of it. And while we spent time as a sector chasing the sustainability myth, we sacrificed our flexibility, creativity and independence along with it. We hate to say it, but its flooded the nonprofit sector with more bureaucrats than we are comfortable admitting. Years of outcome-tracking, monthly-reporting, and expenditure-allocating has made some nonprofit staff nearly indistinguishable from the county services they eminate from (complete with complicated forms and customer service windows.) We're not against contract-funding, but we need to amplify and augment that funding and service. Fundraising is hard work, but its worth the benefit of keeping us from turning into bureaucrats. Fairly and unfairly we've earned these reputations. Before we start expecting the public to start taking us more seriously as a sector, we need to take a good hard look at how we view ourselves and change internal perceptions (and practices). THINK WE HIT THE MARK? (OR TOTALLY MISSED IT?) COMMENT BELOW OR PLEASE SHARE!